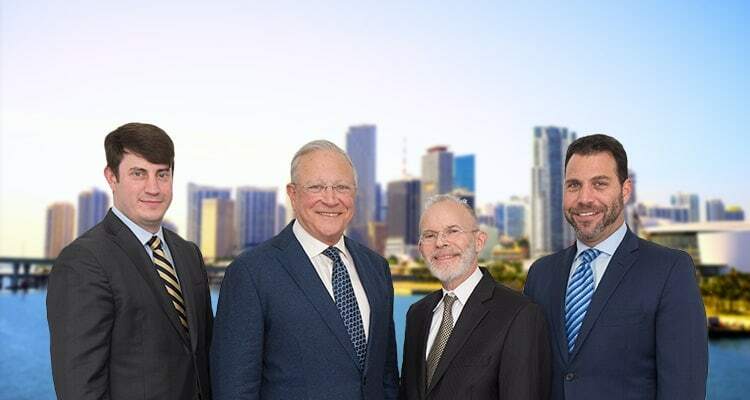 Contact Hialeah Personal Injury Attorney Gerson & Schwartz, P.A. Both doctors and hospitals are required to provide care that meets minimum standards. When physicians and other healthcare providers fail to meet the governing standard of medical practice, the negligent act can result in serious injury or death. As a patient, you have the right to be treated in accordance with these standards of competent medical care. You already have the burden of dealing with your medical condition and should not have to worry about a doctor making a mistake. The following information is being provided to you so that you can be aware of what causes physician errors and how you may be able to avoid such errors before even meeting with your doctor. To protect yourself from physician errors, there are a few steps that you can take. First, make an educated decision about the physician you will use for routine checkups. Do not choose a physician simply based on location or whether they take your medical insurance or not. Find out as much as you can online about your doctor by looking up reviews and ratings at different websites. Ask family or friends about their physicians as well. If you suspect you have a certain condition, then you may want to find a doctor who has more expertise in that area. Once you found a doctor appropriate for you, make sure that you openly communicate with your physician about your symptoms and medications. Often, patients are uncomfortable to tell doctors about personal matters but details are essential in making the correct diagnosis. Sometimes it is helpful to write down what you are feeling and bring it to the doctor to make sure you do not forget anything when you get there. It may also be helpful to write down your medications and the dosage of each. Don’t be afraid to ask questions and take notes. If you feel that your doctor’s decision is incorrect, then you can go to another for a second opinion. There will be situations where you may not have the chance to look up your treating physician, such as being in the emergency room at the hospital. In these cases, physician errors often occur because there is a short amount of time to make a diagnosis and doctors are often too busy to give your particular situation a thorough review. Errors also occur during surgery or treatment by medical professionals due to negligence. Due to these errors, you may have to undergo additional surgery and unpleasant treatments in addition to the continuous pain and suffering that may have been preventable. Your doctor is responsible for giving you competent medical care and when he fails to do so, you can rely on a trustworthy medical malpractice attorney to stand up for your legal rights and protect your interests during this difficult time. At Gerson & Schwartz, P.A. we have the knowledge and experience to help many who have been injured by these costly blunders. 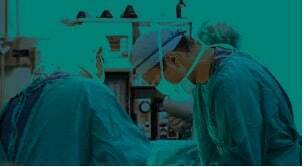 Our firm has brought cases in virtually every medical specialty for failure to correctly diagnose, failure to provide appropriate treatment, and surgical errors. We admire doctors for their commitment to public health and dedication to helping overcoming disease and traumatic injury. However, when mistakes are made professionals must be accountable. When lawyers or engineers err we sue them too. Doctors and hospitals are no different. We understand the difficulty of undergoing medical care for an ongoing condition and we will be here to listen to all of your concerns through a free initial consultation. We will make sure that you understand the legal process involved so that you can make an informed decision about how to proceed with your case. Our attorneys will work diligently to make sure that your legal rights are enforced. Here at Gerson & Schwartz, P.A., we make doctors accountable for paying what the law requires. See a sample of just some of our successes below. You may also email us directly at info@gslawusa.com or call us directly at (305) 371-6000.